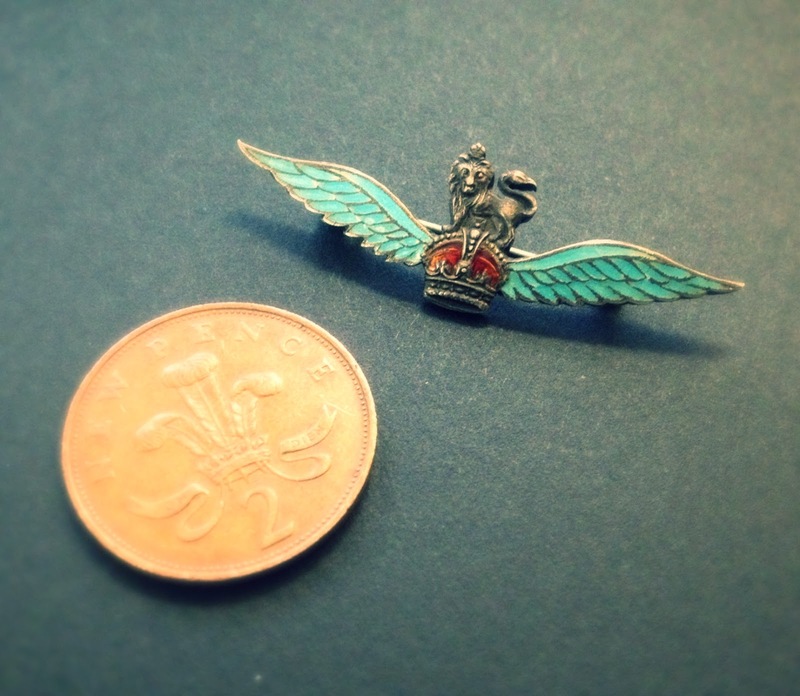 A new edition to our collection is this tiny Sweetheart Brooch recently purchased by myself. These brooches would've been privately purchased by the pilot and given to his wife or sweetheart to wear whilst he was away from home. This one is photographed next to a 2p coin so you can see it would've been very discreet for the lady in question to wear on a daily basis.